Eater decided that Los Angeles was America's best dining city in 2015. Food editor Bill Addison said, "Los Angeles just has it right now. The city is the current epicenter of freethinking and diversity in American cooking." Chef Ray Garcia's Broken Spanish, located in Downtown LA, was a home run with nearly all the food writers. The restaurant menu boasts sophisticated Mexican dishes and drinks. The space is beautifully set with sleek glass and rustic details. Broken Spanish is not hiring right now, but do keep an eye out for job openings in the future. Fast casual meals, like meat kebabs and sandwiches, are staple foods at Moruno. The take-out window is shuttered for now, but Moruno is looking to open up an even bigger space (with a larger menu and drinks) in the new year at Grand Central Market. Moruno is currently hiring Line Cooks, Bartenders, Servers and more. Contemporary BBQ spot Hanjip opened not too long ago in Culver City, but it quickly became a huge favorite amongst foodies. It brings a new style of Korean barbecue to the neighborhood. Eddie Lin of Deep End Dining said, "Oh and Bombet [Hanjip's founders] bring French flair to a hearty Korean standby." Hanjip is seeking to fill various positions, including Sous Chef, Cook, Server and more. Estrella, which combines both indoor and outdoor elements, is like an oasis on the bustling Sunset Strip. Led by former Top Chef contestant Dakota Weiss as the executive chef, the restaurant is a popular spot for breakfast, lunch, brunch and dinner. 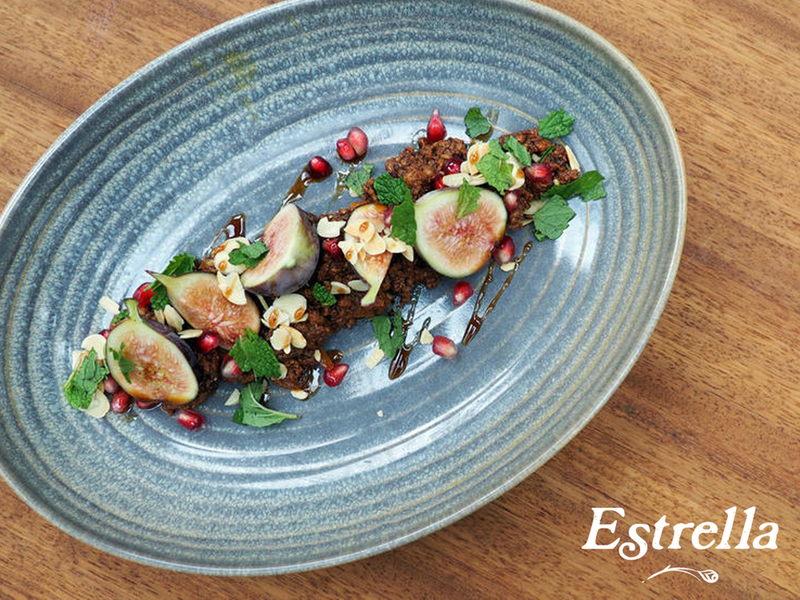 The team at Estrella is looking for experienced Restaurant Managers and Bakers to join them. SMYC's concept is just spot on. Not only does it have globally inspired seafood and cocktails on their menu, the restaurant's interior is designed to look like a modern yacht. There are several openings at SMYC for a Line Cook, Sous Chef and more at the moment.